The cigar-shaped mudfish can survive for months out of water, hidden in river debris. Some whitebait can climb up steep waterfalls, and they have no scales. 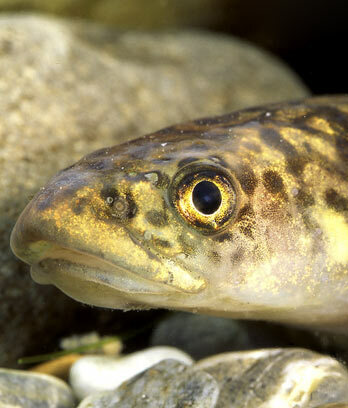 New Zealand’s freshwater fish are few but fascinating – and also very shy. Lurking in small streams, they are seldom seen. Do you know how many different native fish live in New Zealand’s lakes and rivers? Most people think of trout and salmon, but these are not native to New Zealand. It’s quite a surprise to learn that there are about 40 species, including whitebait, smelt and mudfish. One reason why people do not know much about New Zealand’s native freshwater fish is that they are seldom seen. Many are quite small, and some have spots for camouflage. They are very shy, hiding under river banks, or among boulders and stones on the river bed. Often they live in small streams or pools. Some are found throughout New Zealand, while others live in just a few places. Īnanga, kōaro and giant kōkopu. When they are young (juveniles) they are known as whitebait – tasty little fish that you can cook in fritters. Mudfish, which live in swamps. In a drought they can survive for months out of water, lying in mud or under plants. Other freshwater species are bullies, smelt, grayling (extinct), torrentfish, lamprey and black flounder. Bullies are small fish that you might see near the shores of a lake. Most species are nocturnal: they only come out to feed at night. One way to see what is in a stream is to shine a torch into the water at night. Kōaro and banded kōkopu are amazing climbers. When young they can slither up high waterfalls by clinging to the rock with their fins. If caught, they can climb out of buckets, or up the damp glass wall of an aquarium. Nearly half the species spend some of their life at sea. They migrate between rivers and the sea, mostly in spring and autumn. Black flounder hatch as larvae at sea, and larvae of some bullies go to sea. Whitebait larvae hatch in estuaries and are then swept out to sea. As juveniles, whitebait move into estuaries and then into fresh water, swimming upstream in huge shoals. They stay in fresh water until they are adults, when they return to the estuaries to spawn (lay and fertilise their eggs). Smelt live at sea longer, until they are adults. They swim inland to fresh water to spawn. The larvae are then swept back out to sea. Lamprey live mostly at sea, attached to a fish by sucking. They only swim upriver when it’s time to spawn.